"There were no emails, no teleconferences to discuss this. It came out of nowhere," said Bedard. "Our job is to advise them on any changes to do with mental health and veterans. Our job is to provide input to make sure whatever they're doing is thorough." Veterans Affairs has a long history of demanding precise information before approving claims. It's feared the new, more generalized form will trigger unnecessary requests for clarification from veterans who are already fragile. The veterans minister's mental health advisory committee includes both physicians and veterans. "In hindsight, maybe" they should have been told, Doiron said in an interview with CBC News. "The reality is the form that we did put out was based on comments from doctors and a lot of complaints we had from health professionals when we do town halls, or when we go to medical associations," Doiron said. "They come back and tell us our forms are too long, too complicated, we're asking too much information. Doctors, you know, they're busy and filling out a lot of forms and long forms is not always very positive for them." 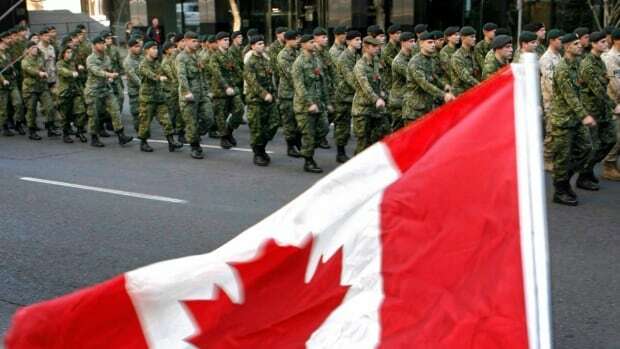 The department has no intention of engaging veterans in back-and-forth information requests because the new "form provides us all the information we need" and the department trusts the medical diagnoses, Doiron said. The federal government's own diagnostic criteria are quite specific. Physicians often receive letters from the feds that tell them that "recording the frequency of symptoms is very important in determining the extent of the disability" and "failure to provide the frequency of symptoms or the treatment information may result in the disability assessment being delayed." The fact an end-run took place around the advisory committee spoke volumes to former veterans minister Erin O'Toole, who said the department seemed determined to ram through the changes as a way to deal with the enormous backlog of claims before the department. "It shows that they don't take the concerns of veterans seriously," he said. "No discussion. No consultations. And already physicians are worried that veterans will not get the benefits they need because of this form. They should halt it immediately and come in [to the House of Commons veterans committee] and explain why the changes were made." New Democrat veterans critic Rachel Blaney said she is skeptical of the department's claim that the shorter form will lead to faster service for veterans. "Perhaps the intention is to try to make this process simpler," she said, "but what we're seeing clearly is that the impact could be very detrimental to the people who served our country."